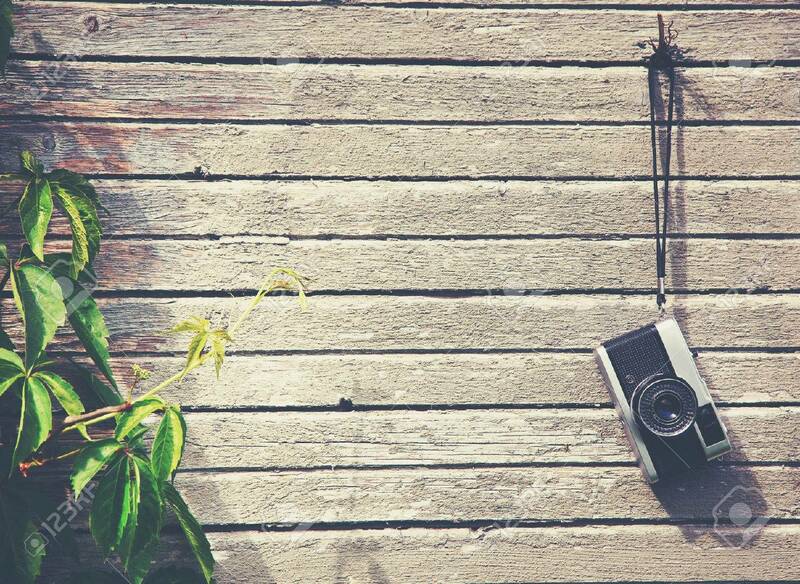 Retro Vintage Camera Hanging On Wooden Natural Boards With Green Plant. Copy Space Zdjęcia Royalty Free, Obrazki, Obrazy Oraz Fotografia Seryjna. Image 46651636.